I always wanted to be the cool, mysterious woman at the bar sipping a dry martini alone with two olives. Because it’s always this woman that gets pulled into the greatest adventures in Drama films (and I can’t be the only one that imagines fighting a group of ninjas to the Matrix soundtrack). But alas, I’m usually just the girl drinking Pinot Noir with wine-stained teeth, talking too loud and sharing too much. And while I’m pretty committed to being a #pinotphile, there are a few occasions where I’ll step outside my box, heat waves being one of them. Like right now. Every morning I go outside to water my poor, wilting plants and it feels like being cloaked in a hot, wet towel. And not in a good way. So this week, I’m keeping the oven off, eating grapes out of the freezer and watching top-knot tutorials by Julia Engel. And when I’m not busy doing those things, you can find me mixing up one of these tasty summer cocktails with a refreshing twist. Each cocktail is a bit different from the last, but all are infused with cooling ingredients like dill, cucumbers, lemon or at the very least, ice. They are a fun spin on some of my favorite cocktails and I find them simple enough to make with even a modest bar setup. As always, enjoy and thanks for stopping by! 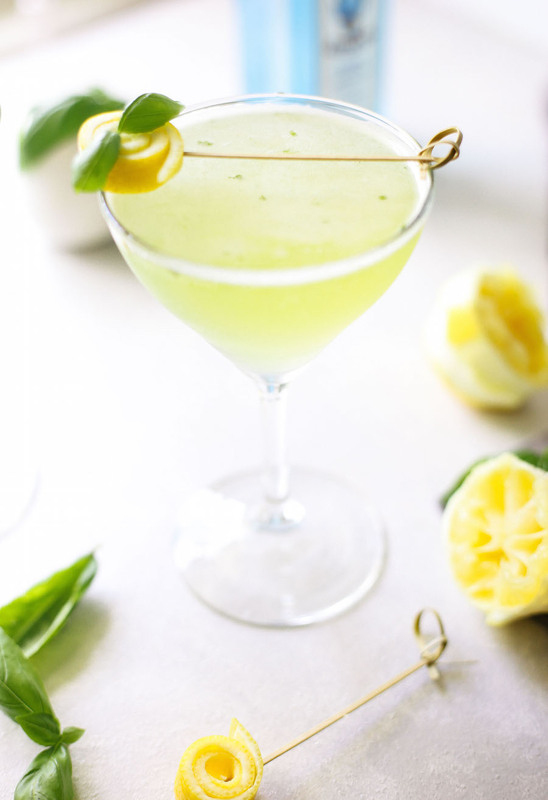 A spin on the classic French 75, this cocktail combines basil, lemon juice and gin for a bright and summery twist. Add as much or as little simple syrup as you like, or better yet, make a basil simple syrup in place of muddling the leaves. Pour the gin, lemon juice and simple syrup into a cocktail shaker and add the basil leaves. Muddle to release the oils of the basil, add ice and shake. Pour into a martini glass or flute and top with a float of Champagne or Prosecco. Garnish with a lemon peel and basil leaf and enjoy! 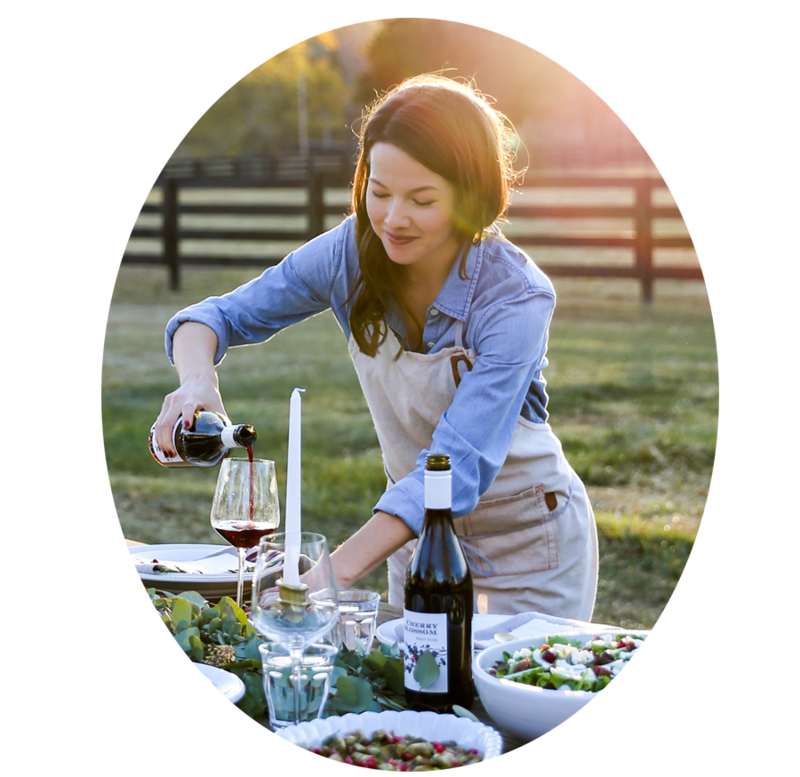 Wine on a hot day can be a tricky mix, which is why I love this recipe for a Rosé Spritzer! With a bit of ice and a splash of sparkling water, you can still sip Rosé all-day while feeling refreshed and hydrated. Fill a glass with ice, then pour 2/3 full with Rosé. Top with sparkling water and a squeeze of lime. Garnish with cherries or blackberries and enjoy! Cool cucumber and dill pair so well with lime and gin in this fizzy cocktail. Just be careful as I find these go down a bit (too) easy! Place the cucumber, dill, gin and lime juice in a glass. Muddle until the cucumber breaks up. Then, fill the glass with ice and top with club soda or sparkling water. Garnish with an additional slice of cucumber and a sprig of dill.